Last week I had the pleasure of discussing the internal machinations of the Chinese Communist Party with Minxin Pei, a prominent China governance expert and Director of the Keck Centre for International and Strategic Studies as well as being a contributor to publications such as the Diplomat and Foreign Policy. His views on the medium term plans and aspirations of the PRC’s ruling elite were extremely interesting, as was his analysis of the foreign policy changes that would entail from the new leadership. The combination of a slowing economy, caused in part by a dysfunctional banking system and the desire of President Xi to stamp his authority on the country will result in a tougher more authoritarian government, with crackdowns and a curtailment of civil liberties, instead of the liberalisation that many are expecting. President Xi will also take a tough line on corruption, not so much to root out dodgy officials but to demonstrate to the party barons who the real boss is. This “hard line modernization” will be authoritarianism accompanied by further free market reforms, which could mean privatizations and a reduced role for the state in parts of the economy. These two aims may seem contradictory, but the current leadership lives in the shadow of the collapse of the Soviet Union, a film documenting its decline and fall is currently required viewing among party bosses. There are many similarities with China now and the Soviet Union in the 1970s; both economies grew rapidly thanks to the use of massive inputs and investment, but the Soviet Union then stagnated as it could not mature into a consumption based economy. The bottom line is that the leadership do not want to see power slip from their grasp. The circumstances are very different, but if you have glanced at any recent economic analysis of China, nearly all commentators are saying the country needs to move towards a more consumption based economy and ensure companies focus more on profit making rather than just investing. 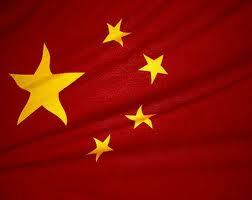 The state of China’s banks is also a serious concern. Thirty golden years of growth have led to massive over lending, thanks to an effective cost of capital of zero, all of which have left the industry in a parlous state. To make matters worse the government are rather complacent about the situation. However the fact the banking system is government owned could be its saving grace. As the banks can be bailed out by the government, they cannot go totally bust “Lehman style”, and once the political will is found the government can push for reform in the sector. Any crisis in the banking system could in turn affect foreign policy as it could dry up the flow of funds to SOEs, which could see a halt to the massive investments in Africa and Latin America. A more assertive foreign policy designed to demonstrate the strength of leadership will see the country move away from a “non-interference” policy to an approach which has been called “creative involvement”. The new leadership will seek parity with the US, to isolate japan and extend its influence over South East Asia. Chinese officials do not believe they are given the full respect they deserve, and are looked down on by traditional powers. However, it is difficult to see the government achieving much of this – given the constraints, Japan and the US are strongly entrenched in the region and China’s demand over islands in the South China add to a general fear over its rise, which means that most Asian countries will continue to look the US for protection. China is looking to protect its overseas assets and supplies of raw materials, particularly oil, iron ore and food stuffs and will look to assert its authority in these areas. China has been successful in developing strong relations with smaller countries such as Angola, Cambodia, Sudan and Venezuela, and has strengthened ties with rising powers like Brazil and Russia, but lacks the influential and multiple allies the US has built up over the years. In the commercial sphere we will see the further accumulation of Chinese power. The rise of Chinese private companies particularly in Europe and the US will be particularly notable. Private companies are more mindful of value and see market share, profits, technology and brands as more important than the strategic goals of the state, which has driven much of China’s overseas expansion up to now. A good example was the purchase of Dorset bases Sunseeker yachts by Chinese company Wanda. The rise of Chinese private companies represents a Chinese globalization mark two, which will impact on every country and virtually every sector, China’s rise could prove controversial as its companies get involved in projects such as building new nuclear power plants in the UK and continue accumulating European and US companies, risking a backlash against Chinese influence. The next part of this series I shall take a closer look at the activities of the Chinese private sector abroad and how their importance will grow rapidly over the next five years. Previous Previous post: Coups, oil and a resurgent West: The Future of China – Africa Relations?